The information provided on this site is free of charge for information purposes only. By using the site you unconditionally accept the Legal Disclaimer set forth on this page. TECNOGI S.r.l.. reserves the right to modify this disclaimer notes at any time and without notice. Terms and Conditions of Use The www.tecnogisrl.it website is an online information service.Its use is subject to acceptance of the terms and conditions set forth below. If you do not wish to accept, please do not use the site and do not download any material from it. The content of the pages of the website are copyright © TECNOGI S.r.l. All rights reserved. The content of the pages of the website may not be copied, reproduced, transferred, uploaded, published or distributed in any way, in whole or in part, without the prior written consent of TECNOGI S.r.l., except that you may storing it on your computer or print extracts from the pages of this website for personal use only. 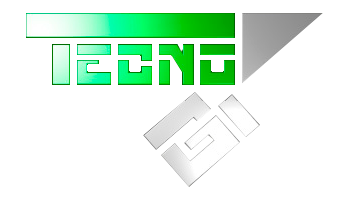 The trademarks and logos appearing on this website are the property of TECNOGI S.r.l. They may not be used on any Internet site other than the www.tecnogisrl.it website without the prior written consent of TECNOGI S.r.l.. Neither the name www.tecnogisrl.it nor any mark that includes the mark www.tecnogisrl.it may be used as Internet addresses of other sites or in the context of such addresses without the prior written consent of TECNOGI S.r.l. The information on this website is provided in good faith and TECNOGI S.r.l. believes it to be accurate. In any event, anyone wishing to purchase products must not rely on this information, but must ascertain the actual nature of the products and their suitability for their intended use in further detail. Accordingly, all information on this website is provided without any warranty of any kind, express or implied, including, but not limited to, product quality, fitness for a particular purpose or non-infringement of intellectual property rights. Under no circumstances will TECNOGI S.r.l. be held liable for any direct or indirect damage caused by the use of this website. The information contained in this website may be technically inaccurate or may include typographical errors. The information may be changed or updated without notice. TECNOGI S.r.l. may also improve or change the products described in this website without notice. Links TECNOGI S.r.l. assumes no responsibility for materials created or published by third parties to which the www.tecnogisrl.it website has a link.Anyone who decides to visit a website linked to the www.tecnogisrl.it website does so at their own risk and assumes the responsibility of taking all necessary measures against viruses or other destructive elements.Links to other sites do not imply that www.tecnogisrl.it sponsors or is affiliated with the entities that perform the services described in those sites. Information received from TECNOGI S.r.l. Any material sent to www.tecnogisrl.it, for example by e-mail or via the World Wide Web pages, will be deemed to be non-confidential. TECNOGI S.r.l. will have no obligation of any kind with respect to said material and will be free to reproduce, use, disclose, display or transform it, create derivative works from it and distribute it to third parties, without limitation.In addition, TECNOGI S.r.l. will be free to use any ideas, concepts, know-how or technical knowledge contained in said material for any purpose whatsoever, including, but not limited to, developing, manufacturing and marketing products that make use of said material.Anyone sending material guarantees that it is publishable and agrees to hold TECNOGI S.r.l. harmless against any action by third parties in relation to said material. The session “cookies” (that is, small data files that certain websites, can send to the visitor’s address while they are being visited) used are intended to speed up the analysis of traffic on the Internet and facilitate user access to the services offered by the website. with their use personal data are neither transmitted nor acquired by their use, and user tracking systems are not employed. If you prefer not to receive cookies, you can set your browser to warn you of the presence of a cookie and then decide whether or not to accept it. You can also automatically refuse all cookies by activating the appropriate option in your browser. These terms and conditions are governed by Italian law. The Courts of Milan, Italy, will have exclusive jurisdiction and competence over any disputes that are connected with these terms and conditions in any manner. TECNOGI S.r.l. nevertheless, reserves the right, if it deems it necessary, to commence legal actions before the courts of countries or cities other than Italy or TECNOGI S.r.l. in order to protect its interests and enforce its rights.